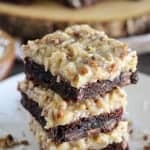 German Chocolate Brownies – Rich chocolaty brownies topped with a gooey homemade coconut pecan frosting. Make the brownies from scratch, or use a boxed brownie mix for the base of this recipe. 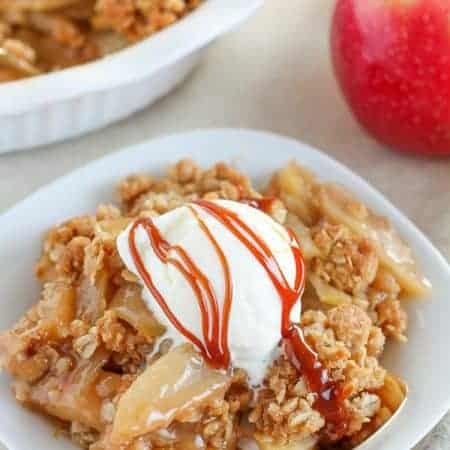 You’ll love this decadent dessert! That big stack of brownies is calling your name, isn’t it? Life is better with brownies, friends. It’s a fact. The thing I LOVE about brownies (aside from their fudgy, gooey, chewy-edged deliciousness) is that no special occasion is needed to whip up a batch. Layer cakes are made for birthdays, fancy pies mark the end of a dinner party, and homemade pastries are for weekend brunch. It’s 3:00 and you’re craving chocolate → brownies. You’re a mom struggling to potty train a stubborn toddler (ahem) → brownies. You thought it was Friday and just realized that it’s actually Thursday (ugh) → brownies. There are so many ways you can flavor brownies. In the past I’ve added peanut butter, creamy coconut, caramel, and espresso. 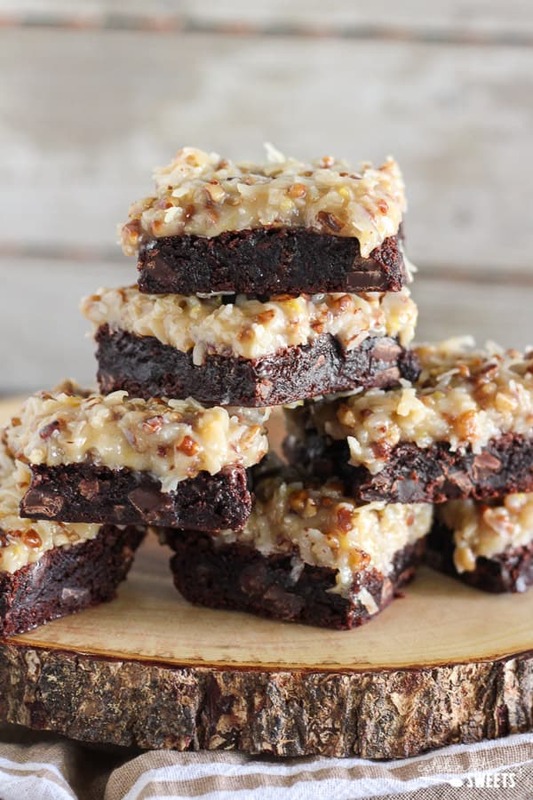 These brownies are topped with a gooey, sticky, coconut pecan frosting. Feel free to use your favorite brownies for the base of this recipe. Here is my favorite homemade recipe, but you can absolutely use a boxed mix too. After slicing the brownies, most of the frosting will hold up without dripping down the sides, but you might get a few spots of drippy, sweet deliciousness. You can choose to eat these brownies by hand or with a fork. My husband and son have an irrational fear of being sticky (true story), so there is no way they’d eat these with their hands. My daughter and I dove right in without utensils. In fact, my camera is currently covered in stickiness from moving these brownies around while photographing them. Sshhhhh, don’t tell my hubby. Now hurry and get in your kitchen! Bake some brownies, drown them in coconut pecan frosting, and then dive in. Enjoy, friends! 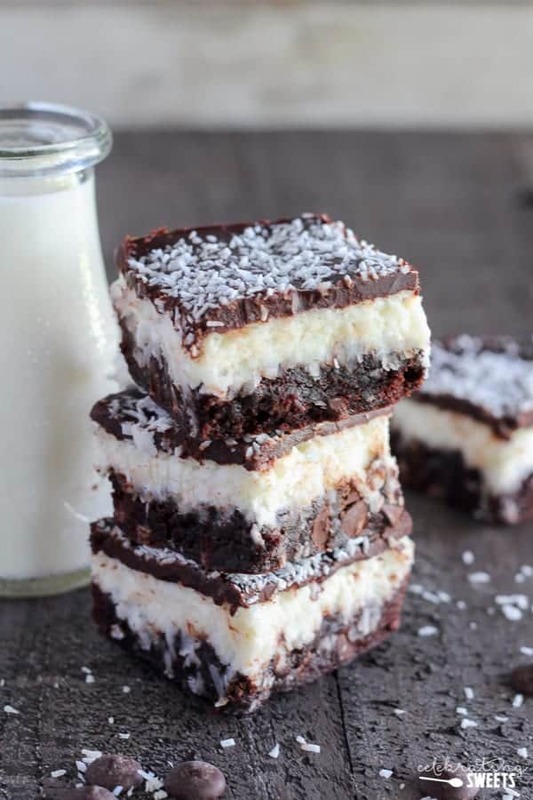 Love chocolate and coconut? You might also like my Chocolate Coconut Brownies. 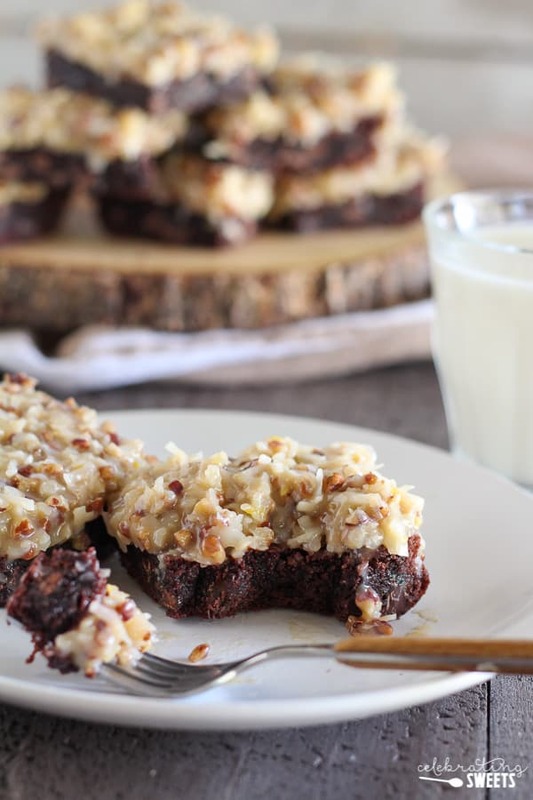 Rich chocolaty brownies topped with a gooey homemade coconut pecan frosting. Make the brownies from scratch, or use a boxed brownie mix for the base of this recipe. 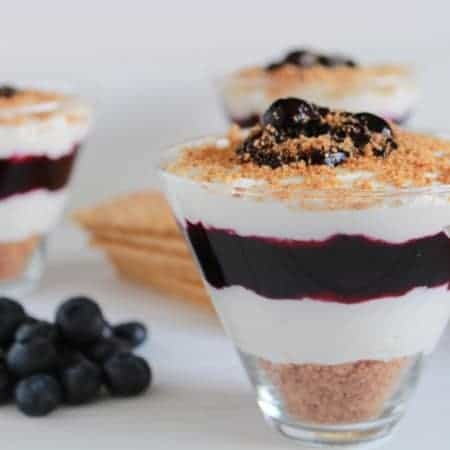 You'll love this decadent dessert! In a medium saucepan over medium-low heat, combine evaporated milk, sugar, egg yolk and butter. Bring to a simmer and cook for 8-10 minutes, whisking constantly (make sure you're getting all around the pan). Remove from the heat and stir in vanilla extract, pecans and coconut. Spoon onto the brownies and carefully spread the frosting into an even layer. Cool completely (until the frosting has firmed up a bit) before cutting. You can speed along the cooling by placing the brownies in the refrigerator or freezer for a short time. Don't leave them in too long or the brownies could dry out. I like these best served at room temperature. To toast pecans: Place in a dry skillet over medium heat, stirring frequently, until fragrant and toasted. Watch them closely so that they don't burn. Totally pinned these. 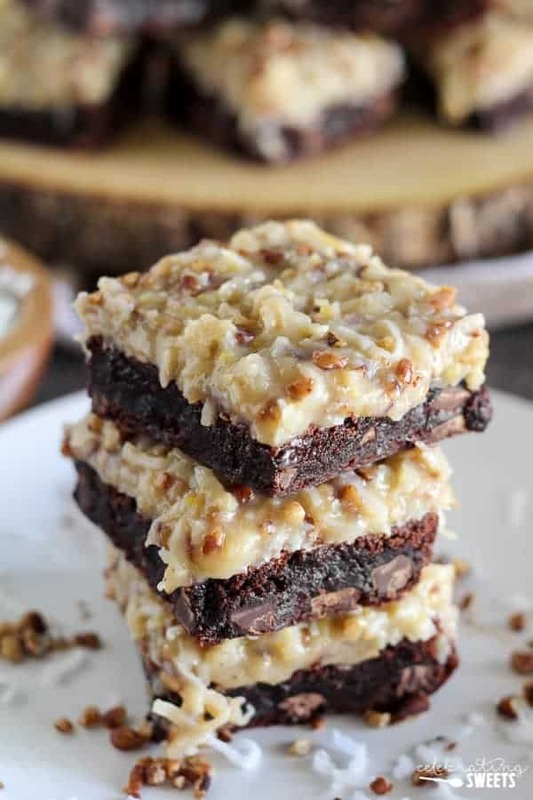 I LOVE German chocolate brownies! Coconut pecan frosting!!!!! SIGN ME UP! Brownies are my favourite baked goods, but that frosting….over the top deliciousness. German chocolate is one of my favorites! These look PERFECT! 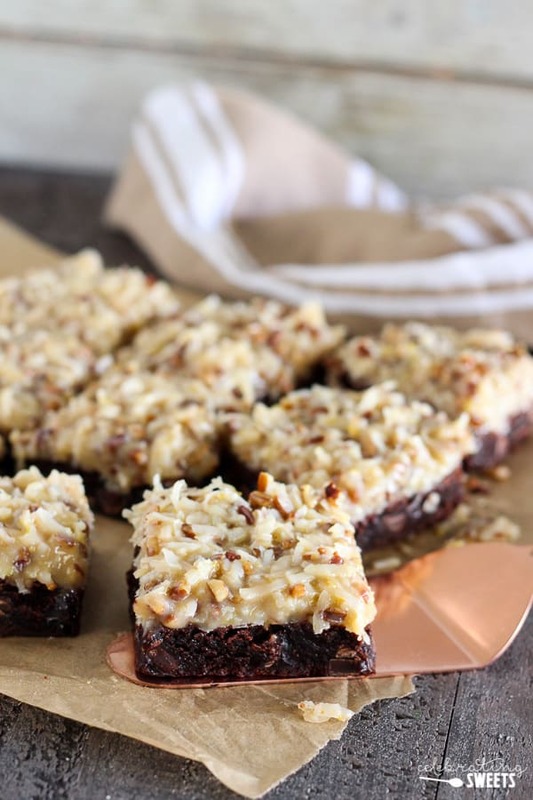 I love rich, fudgy brownies, but that coconut pecan frosting takes it to a whole new level. 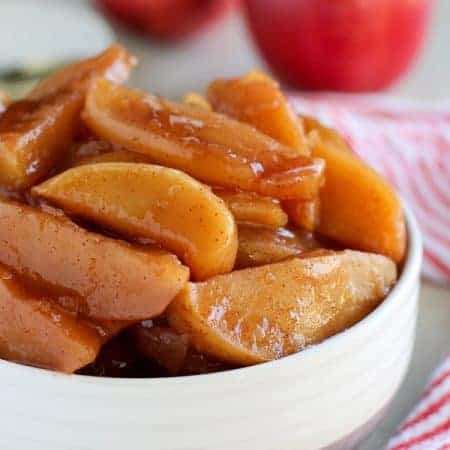 It would be really hard for me to not just eat it all with a spoon!